Tell Us About Your 2018 WRLC Experience! 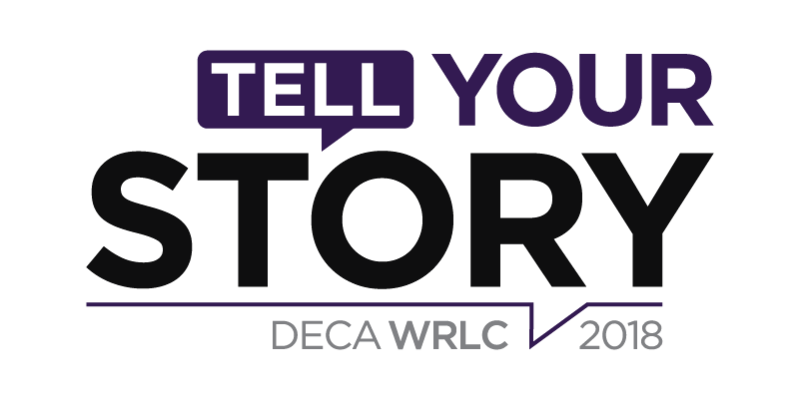 We'd love to hear about your experience at the 2018 DECA WRLC, so we can continually serve the DECA community better! It will only take a few minutes to complete the survey. We greatly appreciate your time and input! * 1. Tell us a little about yourself. * 3. How many WRLCs have you attended? If 2018 was your first, please list "1." * 4. Overall, what grade would you give the Western Region Leadership Conference? * 5. Please indicate how well you agree or disagree with the following statements regarding the overall conference. The amount of activities throughout the conference was what I hoped for. I enjoyed the conference location (Anaheim). I enjoyed the conference site (Anaheim Marriott). The workshops and academies were enlightening and provided value. * 6. In comparison to other conferences you've attended (DECA or otherwise), how does WRLC 2018 rank? Best conference I've ever attended! * 7. As memories fade over time, what is one lesson or experience from WRLC that you hope stays with you? This was an awesome part of the conference! * 11. We want to strive to make WRLC even better! If you were planning DECA WRLC, what would you add, change, or improve? * 13. If WRLC was especially impactful for you, please share a story to help us with future programming. * 14. Did the workshop presenters communicate in a way that was engaging and challenging? Please explain below. * 16. Did you find the workshop topics applicable to where you are in your leadership journey? Please explain below. * 17. If you could have added a workshop topic, what would it be? * 18. How do you plan to apply and share what you learned at WRLC with others? * 19. What kinds of leadership events, activities, content, and experiences would you like at future DECA events? * 21. How helpful were the @DECAWRLC Twitter schedule updates for bettering your conference experience? * 22. If there was an opportunity to submit your own photos and videos for the flashback video, would you have participated? Considering these specific elements of the conference, respond to this statement: This was an awesome part of the conference! I gained new and/or valuable information as a new or experienced Advisor. I gained new and/or valuable information from the content provided. Describe your registration experience and any ways we could improve it in the future. * 29. Have general feedback you'd like to share? Let us know below!